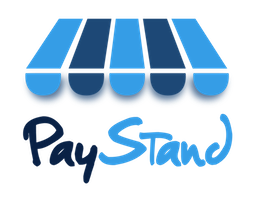 PayStand offer your business the convenience of multiple payment rails all through the same checkout experience. Credit Cards including international credit cards. You will benefit from one low, flat wholesale rate--with no markup (unlike every other payment processor out there). eChecks, aka direct bank deposit, once you have verified your bank account with a two drop deposit. eCash/Bitcoin, which is the first completely free, 0 fee payment option.